ENJOY YOUR HOLIDAYS AS IF YOU WERE AT HOME! Check availability from our reservation panel! If you cannot find availability, do not hesitate to contact us, because we have more accommodation and will try to help. 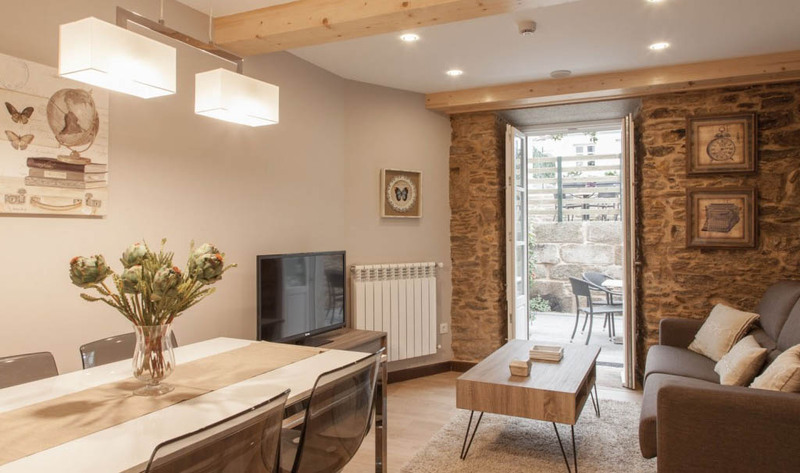 NOVA COMPOSTELA tourist apartments are situated in the historic center of Santiago, in a 19th century building which has been fully restored complete with lift and modern facilities. 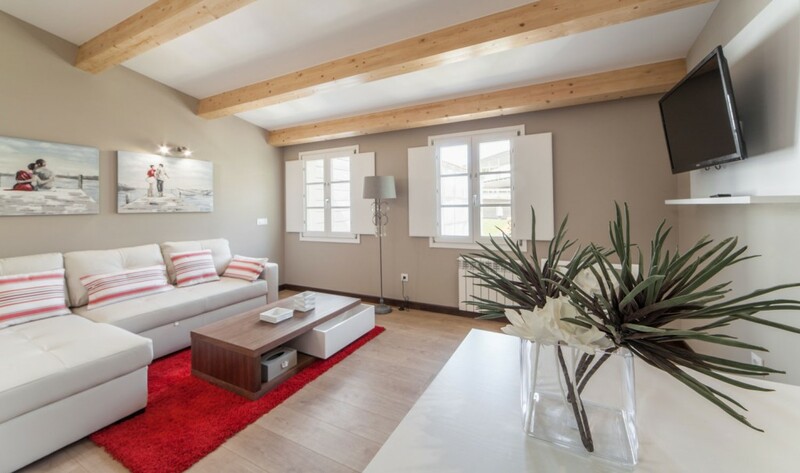 The apartments are about 200 m. from Obradoiro Square and Santiago Cathedral. They are located in a quiet street with little traffic, within easy walking distance of numerous monuments, parks and gardens. The top apartments feature views of the cathedral towers. Public parking, a tourist information office and a cafeteria are all 20 metres away. The building has a maximum occupancy of 22 people in 3 apartments for 3 people, one of which is disabled-accessible and 2 apartments for 6. During the building’s restoration, special emphasis was put on the conservation of traditional architectural elements (such as wooden stairs and stone window frames) and the use of original materials. Above all, we have optimized soundproofing and accessibility, in order to offer our guests top quality facilities. 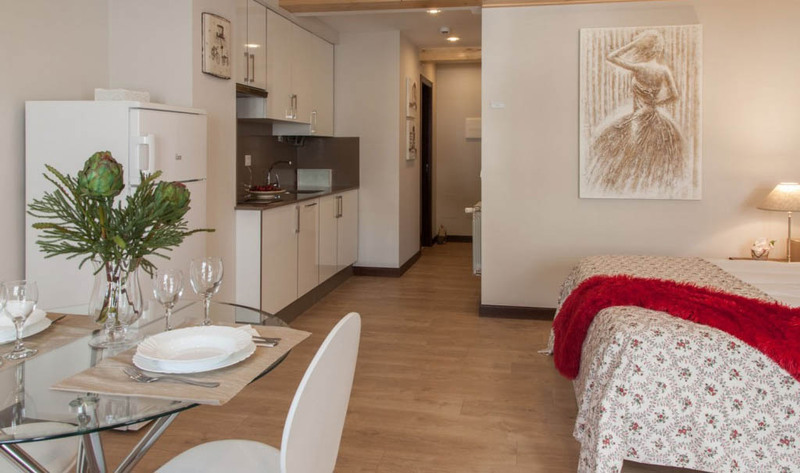 The building has a private outdoor space with garden furniture for exclusive use by our guests, each apartment has an assigned area for you to enjoy the open air. 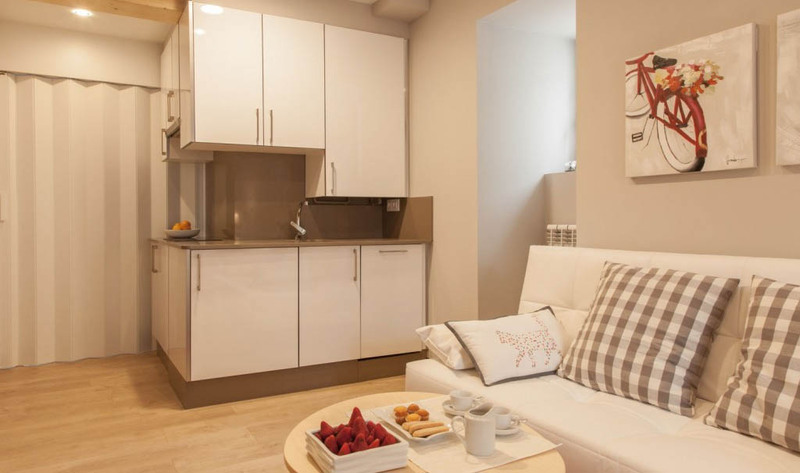 The apartments are bright and are fully equipped to provide everything needed for everyday life. Including all appliances and kitchenware and household linen. They also have heating and a fire protection system. 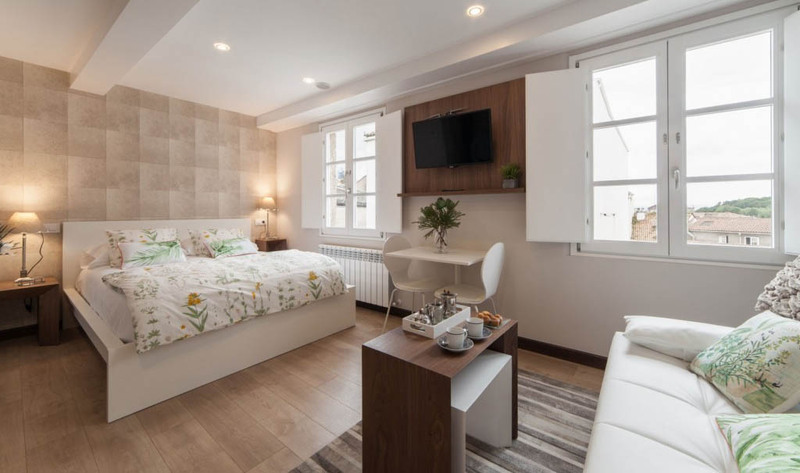 Throughout the facility there is free WiFi and all apartments have flat-screen TVs in bedrooms and living rooms.